Spring is on the way, and for a home builder, that means that award season is almost here! Every year, the Canadian Home Builders Association presents a number of awards to builders across the country. 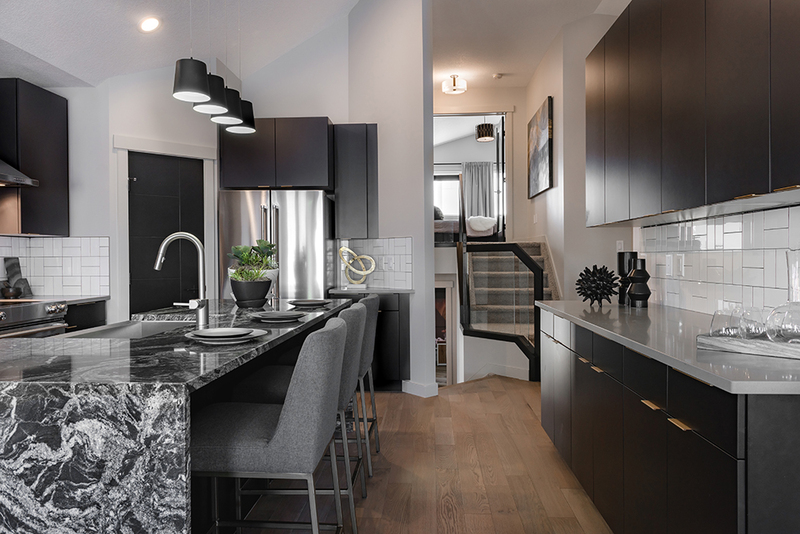 This year, Pacesetter Homes has been nominated for awards in both the Edmonton region, and on the national stage! Today, we’re showcasing all of our nominees for the CHBA Edmonton Region and CHBA National Awards! Our first nominee: the Lazzaro and Lusitano Duplex! 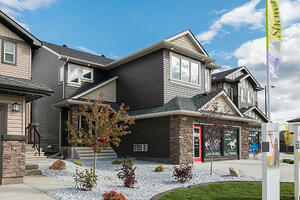 This stunning show home is located in Jensen Lakes, St. Albert’s first beachside community. Lazzaro and Lusitano are captivating models that meld an elegant interior with the beauty of nature. 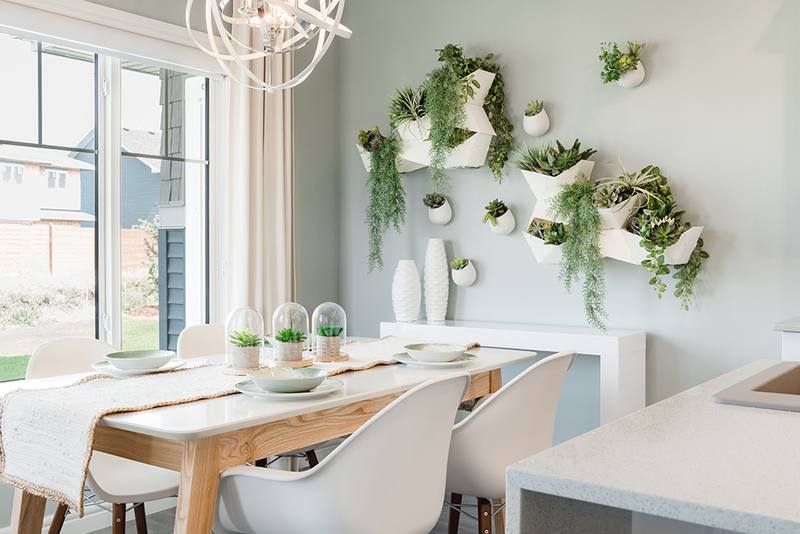 In Lazzaro’s open concept main floor, a living wall of greenery is bathed in natural sunlight from wide windows. Next door, Lusitano’s sleek interior design and entertaining spaces brings the best of beach living to your home. Each half of this breathtaking duplex features a finished basement and is minutes away from the beach. 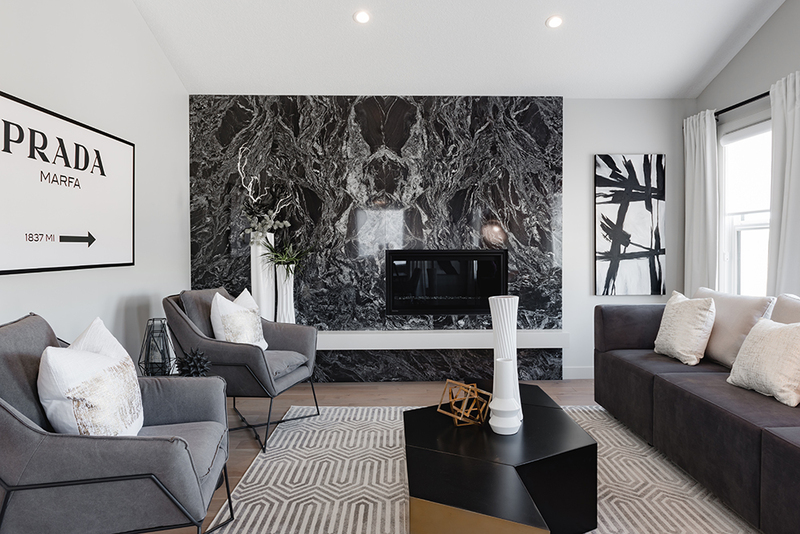 It’s no wonder that the Lazzaro and Lusitano show home was nominated as a finalist in the “Best Duplex” category! Next, Carson in Graydon Hill! As soon as you step into this home, you’ll be captivated by the modern design, sleek interior, and beautiful finishes. Carson is a “Best Laned Home” finalist, and it’s easy to see why. The Carson is a functional, open-concept floorplan that is ideal for being together with family, or entertaining guests. Inside, modern décor and warm highlights culminate in a sleek, yet cozy home. The kitchen’s hex backsplash, central island, and quartz countertops are ideal for entertaining while prepping dinner. Beautiful finishes, a great floorplan, and an affordable price makes Carson in Graydon Hill a best-in-show Laned Home! 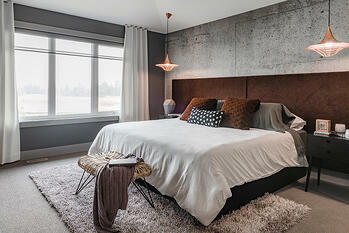 The nominee for best Single Family home is the beautiful Havana in Cavanagh! This front-attached home is unlike any other. As guests enter, they’ll emerge into an open-concept living area. The great room features a wall of windows, an exposed beam ceiling, and a panoramic electric fireplace with geometric tiling. Nearby, a lavish central island in the kitchen adorned with quartz countertops and the adjoined eating nook awaits. Havana melds form and function with a walk-through pantry from the kitchen to the separate mudroom off the garage. Unloading groceries is easy and boot and coat storage is separated from the front entryway. If Havana wasn’t perfect enough, the finished basement features a full bathroom, bedroom, gaming room, rec room, and walk-out access to the patio. Upstairs, you’ll find two secondary bedrooms with walk-in closets, a full main bathroom, and a separate laundry room. Settle in for the perfect family movie night in the bonus room. A vaulted ceiling, wide window, and spacious entertaining area does the trick. Enter into the owner’s suite through double French doors. Here, you’re greeted by a vaulted ceiling, wide window, spacious walk-in closet, and spa-like ensuite. With functional spaces, and comfortable living and entertaining areas, Havana is an unforgettable home. Every home builder knows that a beautiful home is nothing without a beautiful neighbourhood. We’re excited to share some of the best community nominees in the Edmonton Region! First, the wonderful Village at Griesbach! The urban village of Griesbach is nestled in North Edmonton. 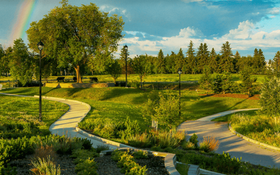 Griesbach offers the convenience of a city setting and the beauty of a master-planned neighbourhood. Residents can enjoy an enhanced lifestyle with easy access to shopping destinations, schools, parks, greenspaces, recreational facilites, and everything that the city of Edmonton has to offer. Next, the Northeast Edmonton community of Cy Becker! 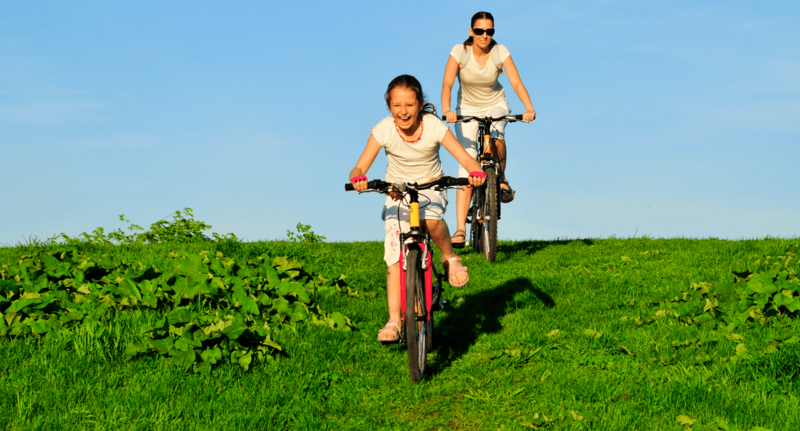 Cy Becker is a community built with an active lifestyle in mind. All Seasons Park is a year-round, state-of-the-art playground that features a promenade and plaza. In the winter, the promenade transforms into a skating rink for winter fun. Nearby, a modern playground and adjacent splash park is perfect for taking advantage of the summer. Cy Becker is moments away from Anthony Henday Drive and Highway 15 with Manning Town Centre, Clareview Town Centre, and other shopping destinations nearby. Cy Becker is a perfect community for your family to plant its roots with a new K-9 school nearby! Our next community finalist is McConachie Crossing! 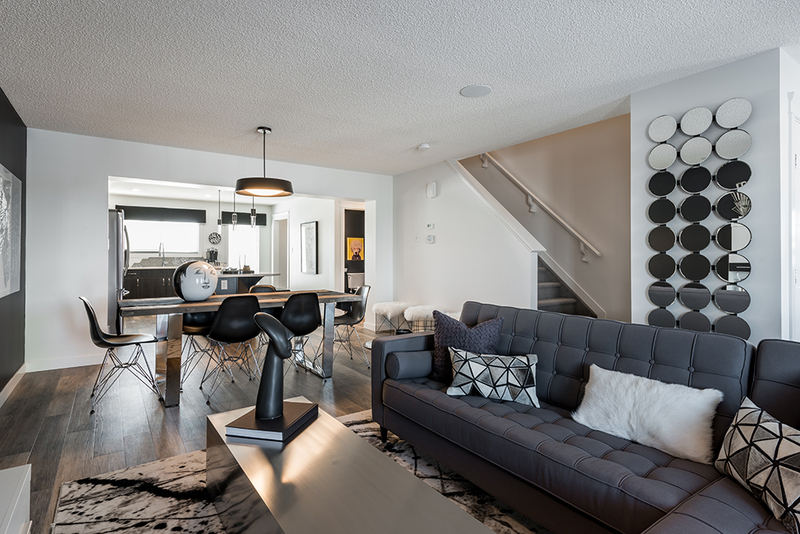 Tucked away from the bustle of the city, McConachie Crossing offers direct access to the rest of Edmonton via the Anthony Henday and 66th Street. McConachie Crossing features every amenity: K-9 schools, shopping centres, medical facilities, and beautiful walking paths. 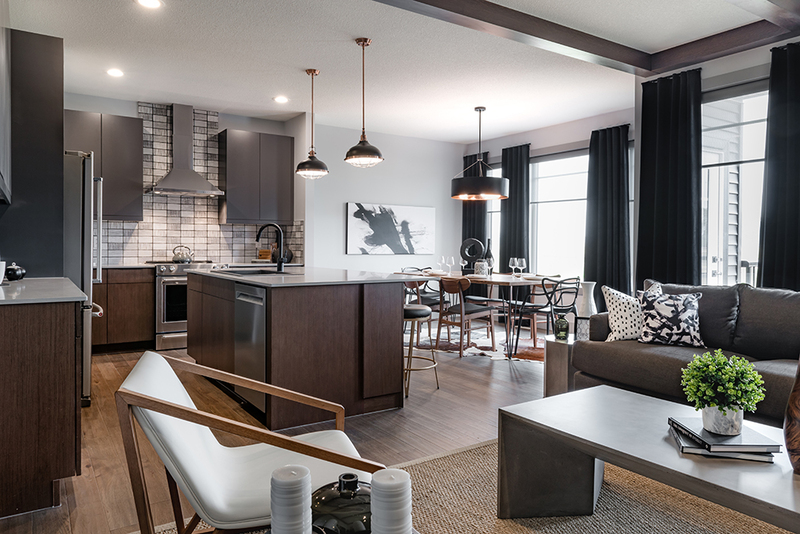 West Edmonton holds the last of our community finalists: The Uplands at Riverview! The Uplands rests between the tree-lined Wedgewood Creek ravine and the banks of the North Saskatchewan River. The west leg of the Anthony Henday is minutes away with direct access to Highway 2. Nearby shopping destinations, K-12 schools, and the Terwillegar Community Rec Centre makes The Uplands a beautiful neighbourhood to call home. Pacesetter Homes isn’t only recognized locally! This year, one of our home models is also being recognized as a finalist in the CHBA National Awards: The Jayde in College Woods! 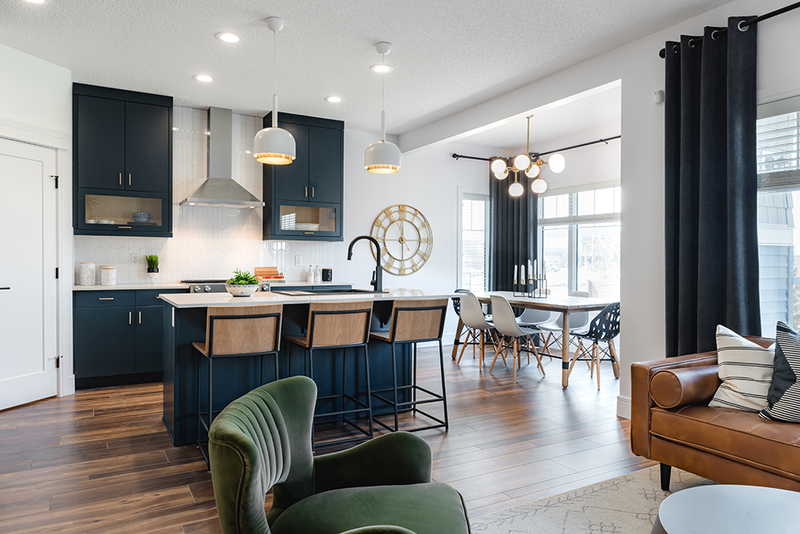 One of 5 other finalists in the “Best Detached Production Home Under 1800 square feet” category, the Jayde in College Woods is a one-of-a-kind bi-level that showcases the finest finishes and superior craftsmanship. As you enter, experience the tall entryway, stunning glass railings, and functional floorplan. Jayde’s basement development is practical and spacious. An added 745 square feet of living space, a family room, two extra bedrooms, and another full bathroom. As you ascend to the main floor, you’re met by a long vaulted ceiling with an uninterrupted sightline to the rear of the home. To the side, practical space such as a full main bathroom, linen closet, and laundry area are nestled between two secondary bedrooms. Ahead, the immaculate kitchen awaits. The kitchen features a waterfall-edge granite island with a flush eating bar, two-tone cabinetry, and a beautiful tile backsplash. Onwards, the eating nook and great room are bathed in bright light courtesy of several windows. Jayde’s great room is unlike any other. 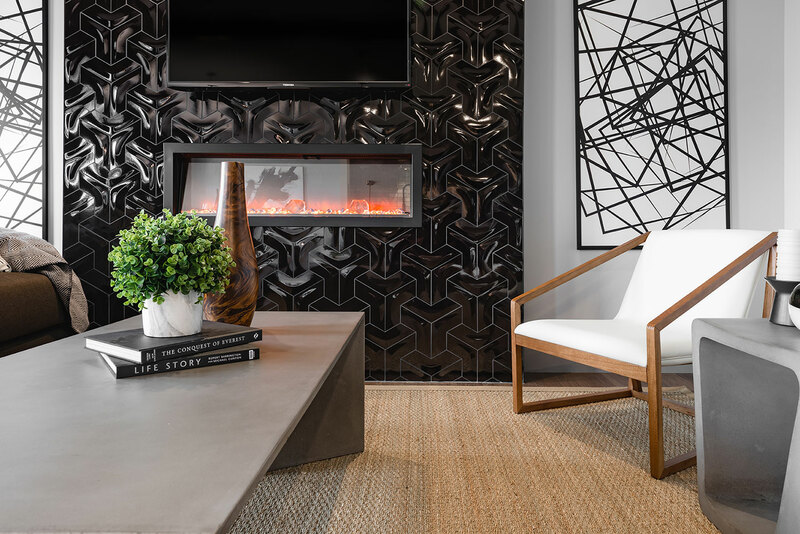 The granite feature wall and panoramic electric fireplace is the centerpiece that unites Jayde’s modern design. Moving upward into the owner’s suite, Jayde’s vaulted ceiling is on display once again. The master bedroom provides an evening retreat complete with a stunning feature wall, bright windows, frosted glass French doors, a windowed walk-in closet, and an unforgettable ensuite. The Jayde in College Woods is a home that leaves a lasting impression. Like our other award nominees, superior craftsmanship and refreshing design sets our homes and communities apart!